BWR grade plywood means Boiling Water Resistant plywood. It is a waterproof plywood same with WBP plywood. It is widely used for making furniture. Along with Commercial MR grade plywood, it is the best selling type of plywood in India. There is another term BWP (Boiling Water proof) which is very similar sounding and almost means the same. BWP or WBP means Boiling Water Proof, and this term is mainly used in the case of exterior grade waterproof plywood. For furniture type plywood using the term ‘BWR grade’ is much more common. The important features of BWR plywood are listed below. 1. It is an exterior plywood, that can be used for indoor, semi-outdoor and outdoor use with humid conditions. 2. BWR is a waterproof plywood. It can resist water better than the Interior grade MR (Moisture resistant) plywood. 3. A grade Phenolic resins are used for in its manufacture. Phenolic resins means using ‘phenol formaldehyde’ adhesive. This is what gives the plywood its waterproofing qualities. 4. BWR grade plywood is commonly used for meeting those furniture requirements in the home, where the plywood is likely to get exposure to water. For Kitchen cabinets and other kitchen furniture, BWR grade is the preferred choice of plywood. 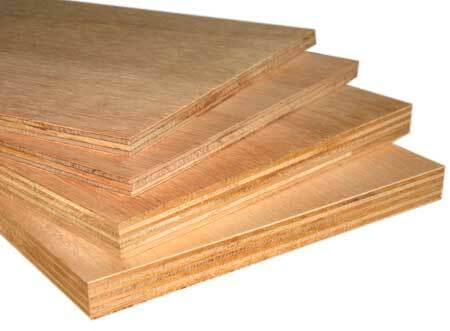 Marine grade plywood has better quality than BWR grade plywood. It is used in conditions where the plywood is sure to get a prolonged exposure to water. It is the ideal choice for building ships, boats and other such marine applications. What makes Marine ply so strong and water resistant, is the use of excellent quality hardwood veneers, and the use of undiluted phenolic resins. The resin Phenol formaldehyde is in fact a synthetic plastic resin, and that greatly increases the water proofing quality of Marine plywood. On the other hand in BWR grade ply, extenders are added to the resin, and it is diluted before using it to glue the plies together. Our company is a BWR plywood manufacturer in China.